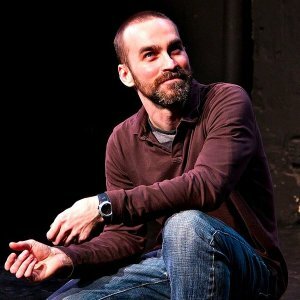 Stewart Walsh discovered improv while living in Chicago and wound up spending several years studying and performing there before moving to DC in 2006. In town, he went through Washington Improv Theater’s training program, where he is now a teacher. He has performed with several independent troupes including Evil Skivvers, the former WIT Harold team The Chets, as well as the ensemble cast of WIT’s 2012 production of POTUS Among Us. Stewart has also acted in several improvised short films with his group The Quest. Did he mention he’s thrilled to be here?